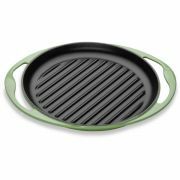 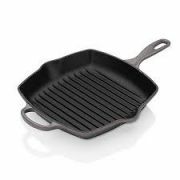 Grillit pans typically allow you to grill meat and vegetables as if barbequing, but, indoors. 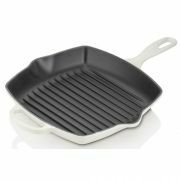 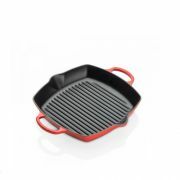 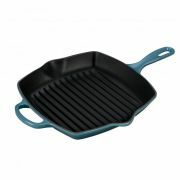 Grillit Pans are typically made of cast iron with raised ridges down the centre. 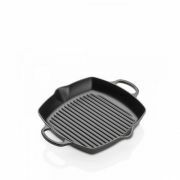 These raised lines have many functions. 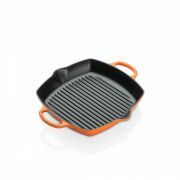 The first is aesthetic when it created charcoal lines along the food and vegetables being grilled. 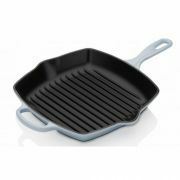 The raised bevels on the pan also allow you to cook food more healthy. The ridges allow fat to drain off the meat, just like it would drip between the grates of a George Foreman, so meat doesn't sit and boil or braise in its own juices. The ridges sear the meats and seal in the juices giving you a melt in the mouth steaks and meats. 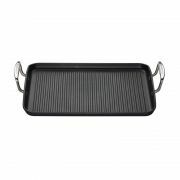 Grillit pans made of cast iron are suitable for all heat sources and also suitable for use in an oven. 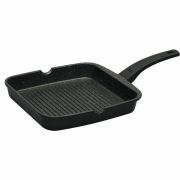 Cast iron Grillit pans heat slowly and evenly so don’t forget to heat it well before your add your food. 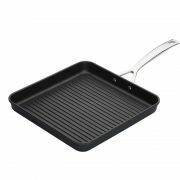 Always bruch with oil before you use to help develop a non stick coating. By now you are familiar with cast iron and realise you need to develop a patina through use over time to build a non stick coating. 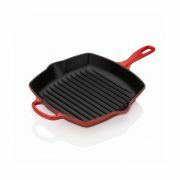 After use rinse clean and pat dry. 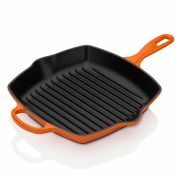 Also ensure you oil after washing. 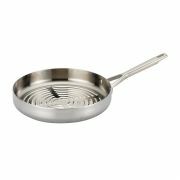 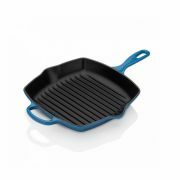 Nowadays you can get Grillit types pans in enamel and made from other materials that are non stick. 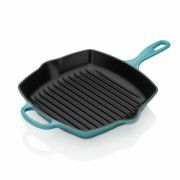 They offer a cheaper and more affordable way to create the same effect but the more serious cook will invest in a cast iron pan.